Shri Kedarnath Ji is another holiest temple in Uttarakhand and India. It is one Dham of the four Dham in Uttarakhand. It is the temple of “Lord Shiva”, located in altitude of 11750 Ft. from the sea level in Rudraprayag district of Uttarakhand. It is consider most faith and sacred temple in India. Here, the hump of Lord Shiva is worshipped. Kedarnath is also one of the twelve Jyotirlings. 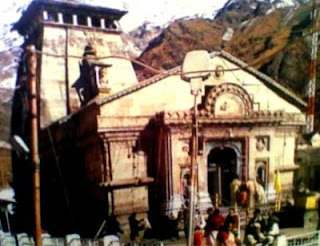 The Present temple of Kedarnath is built by Adi Guru Sankaracharya in 8th century. And the ancient temple was built by Pandavas. The temple has conical Lingam which is the assemblies of pilgrims and tourists. The temple of Kedarnath is more than 1000 years old. Behind the temple of Kedarnath lies the Samadhi of Adi Guru Sankaracharya. It is believed that after establishing the four Dhams (Badrinath, Kedarnath, Gangotri, and Yamnotri) Adi Guru Sankaracharya went to Samadhi in the age of 32 years. The Story of Kedarnath temple: - By the legends, when was the Battle of Mahabharata in Kurukshetra is finished the Pandavas went to look for Lord Shiva to seek his blessing. But lord Shiva escape them since he didn’t wish to meet them. When the Pandavas found the Lord Shiva, then the Lord Shiva assumed the form of a bull. And the legendry Bhima (One Brother in Pandavas) tries to pick up the bull, but the bull was sunk in the earth. However, Bhima could manage to retain the hump of the bull. After that Lord Shiva was impressed by Pandavas determination and blessed them and then the Pandavas are freed from their sins. And Lord Shiva asked them for worship to their hump in Kedarnath. And some legends also tell us the half body of the bull is found in Kathmandu Nepal in the temple of Pashupatinath. And some legends tell us the Half body of the bull like Face, arms, hair and nose are appeared in four other temples which is also known as Panch Kedar (Rudranath, Tungnath, Kalpeshwar, Madmaheshwar). By Road: - Kedarnath is not connected with roads, you can reach by roads on the place Gaurikund and after that go On foot, by Horse, By Palki, By Helicopter. The distance from Gaurikund to Kedarnath is 14 Kms. By Trains: - Nearest Railway st. is Rishikesh. Distance from Kedarnath is 223 Kms. By Air: - Nearest Domestic airport is Jolly Grant Airport Dehradun. Distance from Kedarnath is 238 Kms. Best time to Visit: - 15th May Month to 1st July Month and 15th Sept. to 15th Nov.